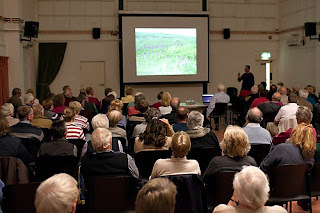 Many Thanks to Chris Mills for a fantastic talk on "Norfolk Wildlife Through the Seasons", which surprised everyone with a floor filling turnout. Chris demonstrated his expertise and knowledge of both wildlife and camera skills acheiving outstanding images and is someone many will aspire too. Really enjoyed the evening - great to see a full house! Well done everyone who ran the evening; the talk was very well received and enjoyed and the extra was the backroom girls who organised and made a great cup of tea/coffee with a terrific selection of cakes and biscuits. The event was very well supported by our guests and visitors. The feedback was that they all had an enjoyable evening. Well done Chris for putting on such a good show.